Retired Men’s Fellowship – Let me introduce you to one of the best kept secrets in Waringstown Presbyterian! 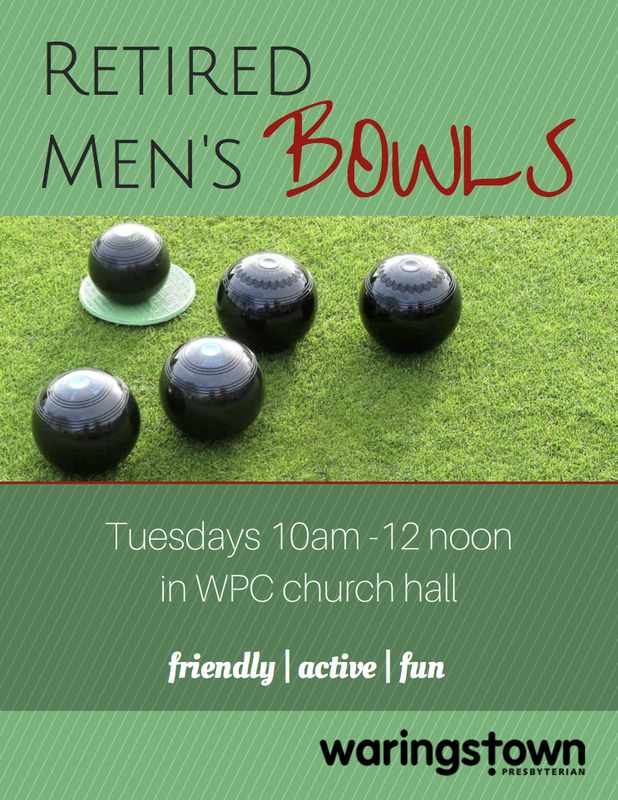 Every Tuesday morning (Sept-March) from 10am-12noon, a rowdy bunch of otherwise very responsible adults, descend upon the church hall, for the Bowling Fellowship! This diverse group of men are mainly retired, but others are there who are unemployed or unable to work through illness or disability. Some are from our church, but many are not. I’m not sure whether it’s the coffee and biscuits at 10.30am, or the suppressed competitive energy, but once the ‘friendly’ matches between each other commence, the decibels increase with a blend of encouragement, laughter and of course the odd argument over points! The group, established over 10 years ago, is well attended with around 25 members and matches are occasionally organised between neighbouring church clubs. The Bowling Fellowship is a thriving initiative in our village and is open to anyone who is able to come along on Tuesdays! Many members had never bowled before joining, so no experience is required, although be prepared to become ‘hooked’ on what has been humorously described as a ‘mysterious and ancient game played by people old enough to know better, using balls that are carefully designed to go in the wrong direction’!